Wandering Eye has extensive experience working with amateur, emerging and established artists, providing the finest museum-quality archival inkjet prints available. We use state-of-the-art Epson printers, color-calibrated monitors, and the highest quality papers to provide you with beautiful and long-lasting custom prints. 1. Print - You provide the files and we make the prints. 2. Print Plus - You bring in your print files and together we review and, if necessary, make basic edits together on a color-calibrated monitor before prints are made. Up to 15 minutes will be dedicated to each file. The fee for Print-Plus is our standard print cost plus $25/file. If file requires additional attention, the post-production fee will be prorated at $150 per hour. 3. Full Service - You provide RAW files or high resolution scans and we do all post-production to prepare file for printing. This includes color-correction, contrast and exposure optimization, retouching and all other tasks required to make a beautiful print to your specifications. 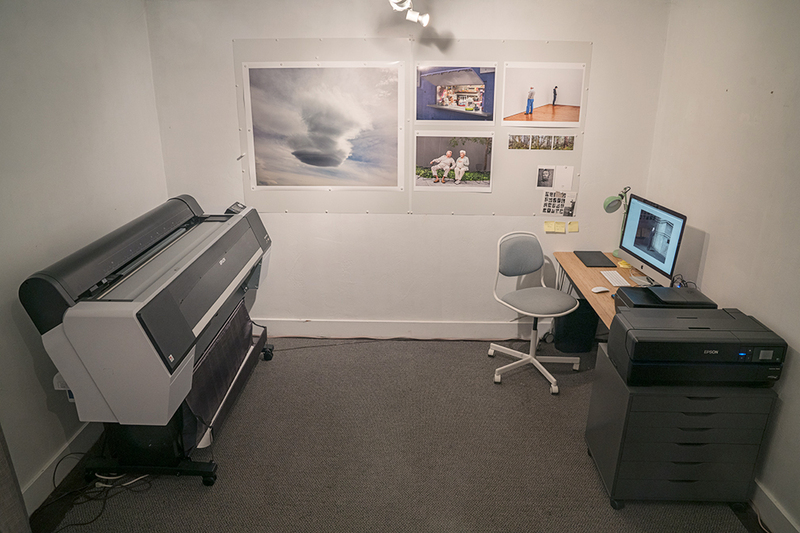 Files will be reviewed with you on a color-calibrated monitor and adjusted per your request before prints are made. The fee for Full Service is $150 per hour plus the cost for each print. Pricing: Pricing is competitive with established fine-art printers in the Bay Area. Discounts will be made for multiple prints of the same image that are part of a single order. Please call for an estimate on your printing needs - 707-200-8031. Note on Paper: Our standard papers are Canson Baryta Photographique for a luster finish and Canson Rag Photographique(310) for a matte finish. If you prefer a different paper you may provide your own, and you will receive a 10% reduction in printing fees.